Lean Group Personnel have been granted Security Clearance from the Home Office. 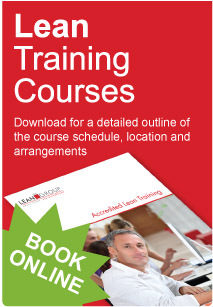 Our acclaimed Open Lean Training Courses are held regularly in Peterborough. Our Lean Trainers are experienced, successful, working Lean Consultants, who are still practicing Lean Tools and Techniques in the workplace. In this field more than any other, experience counts for everything. Our trainers can draw on a wealth of experience in order to demonstrate to Delegates how to apply specific lean techniques within their own diverse businesses.